Do you wish your iOS skills worked on the backend? This Kitura tutorial will teach you to create RESTful APIs written entirely in Swift. 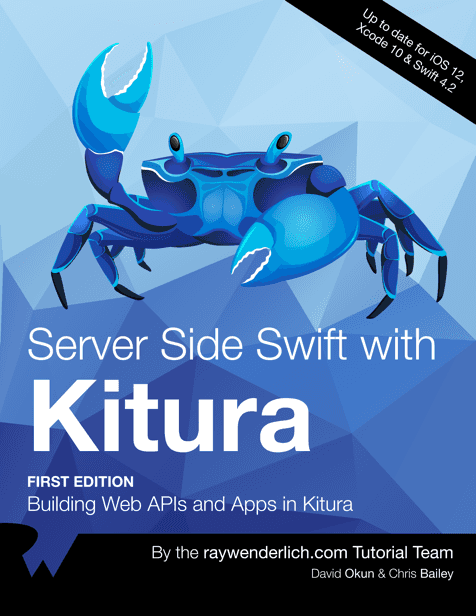 Update Note: This Kitura tutorial is now up to date with the latest version of Xcode, version 10.1, and uses Swift 4.2 for development. Update by David Okun. Original tutorial by David Okun. Are you a busy Swift developer with no time to learn Node.js, but still feel drawn to server-side development? 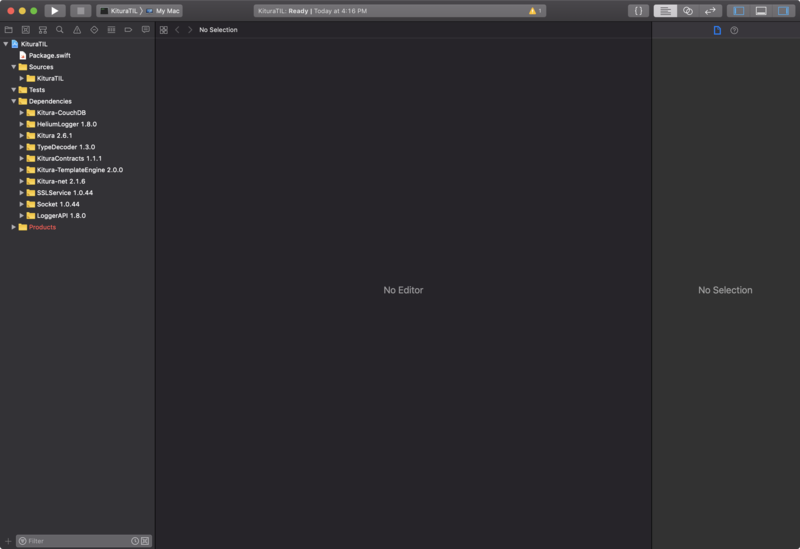 This Kitura tutorial will teach you how to create RESTful APIs written entirely in Swift. Create a back end API from scratch. 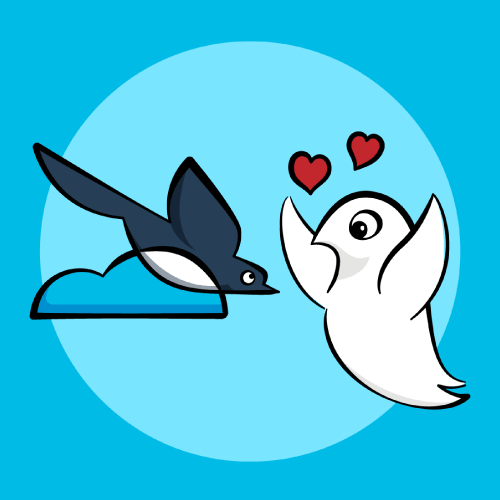 Link your API to a CouchDB instance running on your local machine. Assign GET, POST and DELETE routes for a model object. macOS 10.14 (Mojave) or higher. Basic familiarity with Terminal, as you’ll use the command line quite a bit in this tutorial. 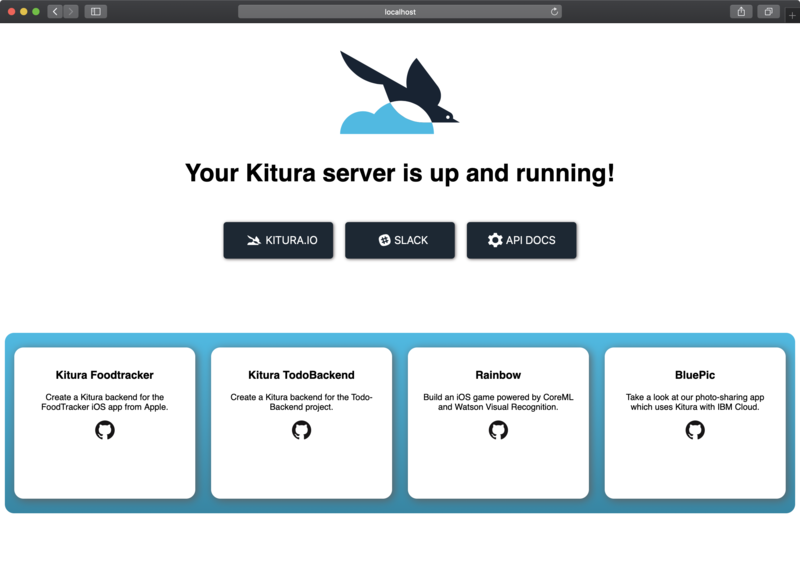 Note: It’s possible to use Kitura simply with a text editor and a standalone Swift installation, which makes it possible to run Kitura even on Linux! However, this tutorial uses Xcode to take advantage of autocomplete and the nuances of a familiar development environment. You’ll use a database called CouchDB in this Kitura tutorial. It’s is a NoSQL database that strictly enforces JSON and uses revision keys for updates. So it’s safe — and fast! The --rm in the docker run command will remove the container’s files from your system. Enter your password if prompted. You should see Installation Successful once it completes. Note: To stop CouchDB, enter brew services stop couchdb. Before diving into this tutorial, you’ll first need to understand a little about Kitura and REST. IBM created Kitura as an open-source framework in 2015, shortly after Apple open-sourced Swift. They modeled Kitura after Express.js, the de-facto framework for creating RESTful APIs using Node.js. REST is an acronym for Representational State Transfer. In RESTful apps, each unique URL represents an object. Non-unique URLs represent actions, which are combined with RESTful verbs like GET to fetch objects, POST to insert, DELETE to remove and PUT to update objects. Backend development often involves many components working together. You’ll only be concerned with two back end components in this Kitura tutorial: the API and database. For example, if you want to populate a table view with a list of acronyms and their meanings, your client app sends a GET request to the backend. In practice, your app requests the URL http://yourAPI.com/acronyms. The API receives your request and uses a router to decide how to handle it. The router checks all available routes, which are simply publicly accessible endpoints, to determine if there is a GET route ending in /acronyms. If it finds one, it executes the associated route’s code. Retrieves the acronyms from the database. Packages them into a response. Sends the JSON response back to the requesting client. If an API is RESTful, then it must also be stateless. In this example, you can think of the API as the orchestrator, commanding data to and from your ecosystem. Once the request is fulfilled, the state of the API and its routes should be unchanged and able to handle the next request. Just because the API is stateless doesn’t mean it isn’t allowed to store or modify objects. The API itself doesn’t store states, but it does query and update the database to fetch, store and modify objects’ states. You didn’t download a starter project for this tutorial yet. Well, that’s because you’re going to create it from scratch, from the command line. This uses the Swift Package Manager to create a new executable package. You first set the name of your target executable. By convention, you should name this after the enclosing directory. Here, you declare your dependencies one-by-one; starting with Kitura itself. HeliumLogger is a back end logging framework, which you’ll use to log messages while your back end app is running. Kitura-CouchDB allows Kitura to communicate with CouchDB. Finally, you declare your target and its dependencies. …where Xcode.app should be replaced the path to Xcode 10. If you’re still having trouble, it’s possible that you’re using swiftenv or another Swift version management tool, and you may need to manually set your Swift version to 4.2.1. Awesome! You’re now ready to get your back end app up and running! Note: If you see the warning Conversion to Swift 4.2 is available, feel free to click it. There should be no changes needed. Just click Update again, to change their build settings. You need only a few lines of code to set up your server with a router and a logger. The Router will handle incoming requests by routing them to the appropriate endpoints. Here, you register router to run on port 8080. Kitura will run infinitely on the main run loop after you call run(). The HeliumLogger.use() command sets up HeliumLogger as the default logger for Kitura. It’s good practice to log early and log often. Then, you create an App instance and run it. Build and run, and you should see log messages from Kitura appear in the console. Congratulations, you’re now running a basic Swift-based HTTP Server on your local machine! In this section, you’ll create a model type that represents an acronym. Create a new Swift File named Acronym.swift, and remember to add it to the KituraTIL target. You need to import this module so that you can make your struct conform to the Document protocol. By making Acronym conform to Document, you’ll be able to leverage both Codable Routing and CouchDB’s Document protocol. You’ll learn more about Codable Routing shortly, but Document allows you to take advantage of the latest database driver for CouchDB. As with most database drivers, you to have an _id property for your object — the Document protocol requires this. CouchDB will also make you keep track of the latest revision of a document to confirm any update or delete actions you perform on an entry, so the Document protocol requires this _rev property as well. Lastly, the object itself requires you to store both a long form and short form acronym for the sake of this tutorial. Build your project to make sure everything looks good. Remember, again, to double check that your new files are part of the KituraTIL target! Notice that your object conforms to the Document protocol. This is a mechanism that forces objects readable by the CouchDB database driver to also conform to Codable, which is going to be extremely helpful during your journey with server-side Swift. Codable is simply a typealias that combines the Encodable and Decodable protocols. This ensures conforming objects can be converted both to and from external representations. In particular, Kitura uses this to easily convert instances to and from JSON. Before Kitura 2.0, you had to pass a request object into every endpoint closure, parse properties manually, cast appropriately, perform necessary transformations and finally create JSON to send as a response. It was a lot of work! You can now leverage the power of Kitura’s Codable Routing to significantly reduce the boilerplate code in your routes. Win! You simply need to make your models conform to Codable to take advantage of this, as you did above. With this theory out of the way, it’s now time to connect your API to CouchDB. You first import CouchDB in order to set up your persistence layer. You add the properties client for CouchDB and database to keep track of changes. You’ll add code here after you’ve created your instance of App to connect to your database. In case your postInit() method doesn’t find your database, it’ll create a new one for you. Once you’ve set up your database, you’ll list all available routes for your API to match against here. You call postInit() from within run() to make this part of your API setup. Log.info("Could not retrieve acronym database: "
You create a ConnectionProperties object that you use to specify configuration values and a new CouchDBClient. You check to see if a matching database already exists, so you don’t overwrite existing data. If a database does not exist, you call createNewDatabase() to create a new database. If a database does exist, you call finalizeRoutes(with:) to configure your routes. Log.error("Could not create new database: "
You create your database with a given name. You can choose anything, but it’s best to keep it simple. You ensure the database exists, or else, you abort and log an error. Just like before, you call finalizeRoutes(with:) to configure your routes. You won’t be able to implement finalizeRoutes(with:) just yet. You first need to complete your persistence layer. That’s what you’ll do in the next section. Create a Swift File named AcronymPersistence.swift, and add it to the KituraTIL target. By adding a class to an extension of Acronym, you are essentially creating a namespace for your class. Because you are making use of static methods, and these technically need to be globally scoped, namespacing your persistence methods allows you to make it more difficult to call them accidentally. Think about what you will want to do for your acronyms — you want an easy way to run your most basic operations, but you don’t want to write a whole bunch of logic into your router. This getAll(from:callback:) method should logically return an array of Acronyms! This save(_:to:callback:) method should easily save an object, but you’ll do more. It is common practice for a POST request to return the entire created object with a 201 response code — thus, you’ll make sure you have the entire newly created object returned to you. Lastly, when you delete an object, the HTTP route will only include a reference to the ID of the object. So you should create a method that only needs the object’s ID to delete it, even though, internally, you will also use its _rev value to delete it. Note: If you’re reading this after reading the previous version of this tutorial, you might notice how much nicer this is to write than versions past with SwiftyJSON. Not bad, right? You will notice that your database object has a lot of functionality attached to it. While you could write this in your Codable routes, it’s easier to bury this in your Persistence helper class. This will do most of the heavy lifting for you! You are taking the documents that CouchDB has returned to you and encoding them into their intended native types. This is where Codable also shines in a big way — gone are the days of having to parse parameters from a request! Just like before, you use your database object to perform your CRUD operation — but notice that you’re still getting a returned type of DocumentResponse. This contains an _id and a _rev for your newly created object, but not much else! You take the _id from your create operation, and you use your database to retrieve that specific object. You can implicitly pass the callback down to this operation because the two callback arguments have basically the same signature — this saves you some code! Just like in your save(_:to:callback:) method, you are retrieving an object and using a native type in the callback. You need to get the object because your Codable route will only provide the _id, whereas the Database method requires both an _id and a _rev. Once you have your native object, you ask database to delete it, and just like you did in save(_:to:callback:), you can implicitly pass the callback to this Database operation because they have the same signature! OK, now that you have an easy utility for working with CouchDB and your Acronym object, it’s time to dive into setting up your Codable routes! Since all of your routes will make use of your database object, it’s handy to keep a reference to it here. You don’t want to constantly have to refer back to your App class, so this is where you store a reference to your database object. You are “registering” three routes here, choosing the paths that they will be registered for, and the handlers that will run when a request is made to any of them. Assuming you are launching your server on localhost:8080, your router will run this function with the data parsed from the request, if someone makes a GET request to localhost:8080/acronyms. This function runs if someone makes a POST request to localhost:8080/acronyms. This function runs if someone makes a DELETE request to localhost:8080/acronyms/id, replacing the id part of this path with an actual ID string. Pretend you’re a chef and kiss your fingers — this is beautiful. It may have taken a little bit of setup in the beginning, but now you have a drop-dead simple way to get all the acronyms in your database and respond to a request for them. No JSON, no object validation, no headache — you get an object, and you send it off, along with whatever error you might have encountered. Again — just beautiful. Notice that you have the ability to return any HTTP error code as an enum case as well! Here, you send a HTTP 500 error if you can’t get a handle on your database. Command-click on .internalServerError if you want to see what the other errors are! I personally love how you can make the external parameter label in function signatures optional, as you did with Persistence.delete(_:from:callback:). This generally lets you focus on making your functions English-readable as well as code-readable, and this is a great example of that feature in Swift. Build and run your project, and navigate to http://localhost:8080 to ensure your server is still running. If everything is set up correctly, you should get back an empty JSON placeholder (). This means you’ve correctly set up your GET route! In Xcode, Kitura’s log messages should include a Received POST type-safe request message. If you get back the same JSON you entered, inside an array, then congratulations! You’ve successfully created a working API! This tutorial has introduced you to Kitura by building a backend API. However, that is not all Kitura can do! In our Kitura Stencil Tutorial, you’ll learn how to use Kitura and Stencil to build a website that includes a front end. You can download the completed version of the project using the Download Materials button at the top or bottom of this tutorial. You can also read through IBM’s introduction to Kitura Codable Routing. There’s a lot of material on the internet about Kitura, and some especially great stuff available directly from IBM! If you’d like to continue learning about Codable Routing and other Kitura 2.0 features, check out this tutorial. I encourage you to comment in the forum below if you have any questions or comments!